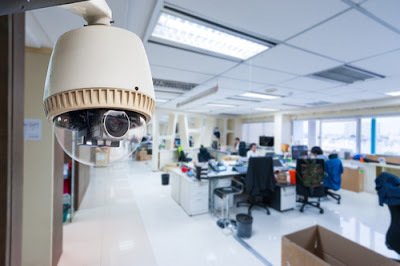 CCTVs are supposedly must-haves in many organizations and businesses around Singapore. They help to boost the security and ensure that everything is working as expected. There are different brands of CCTVs in Singapore and the common ones are the Avtech CCTVs and the Samsung CCTVs. These two brands tend to complete greatly in the market. 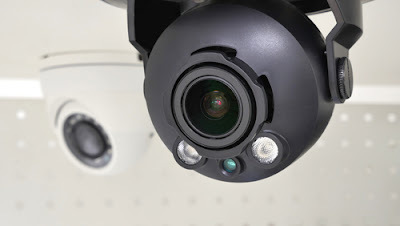 Some clients prefer the Samsung CCTV, while others tend to go for the Avtech CCTVs. But which of these two brands is worth picking? Here is a look at the two brands, in relation to their delivery. This is one of the most trusted companies that manufacture cctvs in Singapore. The brand has a number of benefits and here is a look at some of the top benefits of the Avtech cctv. The cctvs of this brand are very much cheaper and economical, compared to the Samsung products. They go at a reasonable and much lower prices, which also delivers reliable feeds in terms of the surveillance. This is a great option if you want a budget-friendly cctv for your home or business. The Avtech cctv will also require less power to run, compared to the Samsung cctv and other CCTV brands. These cctvs will not need a server device and for that, they will not require much energy to run. This can help you to save on the energy costs as you are enjoying surveillance of your home or business premises. This means that you can be able to attach an external alarm to the system. Though the alarm will be sold separately. The alarm can help to detect any movement around the camera, in case the camera stops functioning. This can work as a backup system when the camera is tampered with. Compared to the Samsung cctv and other cctv brands, the Avtech cctv will have a limited warranty. Mostly, the system will come with a warranty of about 2 years. The first year is meant for the replacement, while the second year is for repair or servicing of the system. For that, if the system fails after the second year, you will not have it replaced, but it will only be checked for any problems. This can be reliable at some point. Since they are cheap enough, these systems tend to have a somewhat poor quality. This is when they are compared to the Samsung cctv systems. Most clients have issues with the video quality, while others complain about the entire system. The Avtech cctv systems are also reported to have a shorter life span. This is in relation to the service delivery. Even though they are covered by the warranty, the systems do not last as long as many people expect them to last. 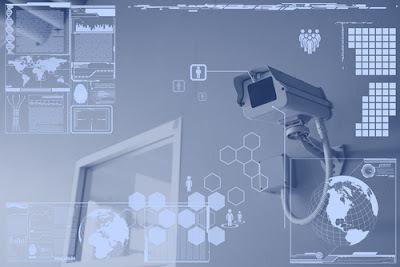 One of the benefits of the Samsung cctv systems is that they are durable and they tend to serve you for quite a long time. These systems are developed with a high technology that allows them to work for longer hours without breaking down. You can be sure of having the camera work throughout the day, without having any issues of the system heating up in any possible way. In addition to their durability, the Samsung CCTV systems come with a long-term warranty. This assures you of a stable system for the longest time possible. Most of the Samsung CCTV systems will come with a 5-year warranty. This is a very long time and also, you will be sure of having the system replaced or fixed accordingly. Whether it is the live feeds, the video quality or any other control of the system, the Samsung cctv offers a high-quality delivery. You can watch high quality videos, share them with your mobile devices and make other controls. One drawback of the Samsung systems is that they tend to be very much expensive, compared to the Avtech cctvs. The good thing about all this is that they are of a high quality. They also tend to last for long, so they are worth the price. The Samsung systems tend to be complicated and they will need professional help when you need to install and set them up. Even though some will come with a user manual, they are still very complicated when it comes to operating them. Both brands have systems that can be accessed easily from wherever you are. You can access the cctv camera from the internet, using the correct LAN address. This helps to keep you updated with the current situation of your home of business. You can also have them integrated with your mobile devices for an easier access. Nonetheless, Samsung takes the lead when it comes to the mobile integration. You can view the feeds and even control the system using your Samsung Smartphone. Generally, these two cctv systems are both reliable, and they both have their drawbacks. Nonetheless, you will want to be keen when you need a perfect choice of a CCTV system. The Samsung cctv is very much reliable, it can last for years and it has a high quality delivery. Conversely, they tend to be highly expensive and also, you will need professional assistance in case of any issue. The Avtech system is much cheaper, but it doesn’t offer such a high quality delivery. Even though it can also be accessed remotely, it still doesn’t reach the level of the Samsung CCTV. Always be sure of the pros and cons of the cctv system that you intend to install on your property. Above all, contact an experienced supplier to help you choose wisely.